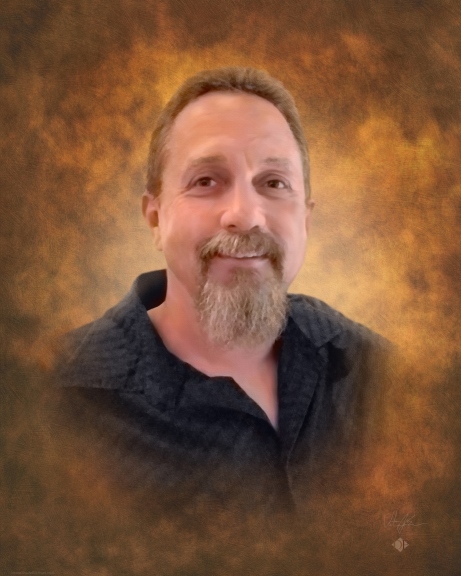 Gary Michael Rupert, an Idaho native and 19-year resident of Ada County, ascended into Heaven on Thursday, July 12, 2018, in Boise, ID at the age of 52. He was born November 12, 1965, in Jerome, ID to Gary Brent and Katherine Mary (Madalina) Rupert. Gary was a 1984 graduate of Gooding High School. Gary had a deep faith and personal relationship with his Lord and made a conscious choice to walk with him daily. He was an inspiration to all who knew him and had a warmth about him that would draw others in. Gary was a dedicated husband, protector, and father who put his family’s needs above his own. Gary was a joy to be around and has been called the “King of Dad Jokes,” as he could always find the humor in situations and could lighten any mood. Gary was hardworking and was employed as a truck driver. He enjoyed motorcycle rides and working on cars as a hobby in his spare time. Gary was adored by his many friends and family. He will be deeply missed. Gary is preceded in death by his father, Gary Rupert and survived by his loving wife, Patricia Louise (Muldoon) Rupert of Meridian, ID; his mother, Katherine Rupertof Nampa, ID; his loving children, Brent and Scott Rupert of Nampa, ID; Cassandra Rupert Keeney of Las Vegas, NV; Alex Buchanan of Belvidere, IL; three stepchildren, Amanda, Alysa, and Matthew (deceased). his sisters, Lisa Rupert Levesque (Scott) of Twin Falls, ID; Racheal Rupert Portenier (Robert) of Nampa, ID, and his seven grandchildren. Gary and his wife Patricia Rupert are legal guardians to one of the grandchildren, Amira Marie Sultan-Rupert, and have lovingly raised her since she was a newborn. Gary’s wife, Patricia Rupert, will continue to care for and raise Amira. Friends and family are invited to attend a memorial service at 11:00 a.m. on Thursday, July 26, 2018 at Ten Mile Christian Church, 3500 W. Franklin Road, Meridian, ID. Condolences may be made by visiting www.dakanfuneralchapel.com/tributes and leaving your personal message on the Tribute Wall.